We manufacture a range of Australian reproduction marble mantelpieces in several designs and assorted colours. We provide on-site installation of marble fire-surrounds including minor brickwork repairs and alterations to fireplaces as required. 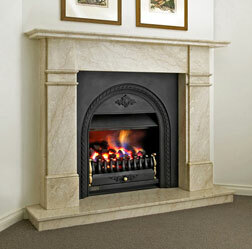 We keep in stock a range of marble colours and thicknesses suitable for fireplace “Hearth & Margin” sets. For the finest quality of fireplace restoration work in Melbourne, South Yarra or Toorak you need not go any further than where you are right now! 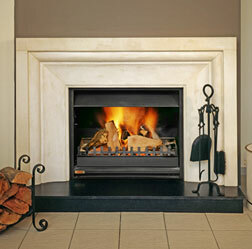 Welcome to K&K Marble, your experts in marble fireplaces! You may have got a marble fireplace mantel built at the time you constructed your home and it might be in a bad need of a makeover or it might need to be updated to give your room a refreshed and contemporary look. You may have changed the décor of your home and your fireplace now stands there exposed, like a sore thumb and you are in a dire need to make it fit well! No need to get rid of the old to get the new fireplace when K&K Marble can expertly restore your fireplace so that it looks fresh and new and also performs excellently! From thorough cleaning and painting to required repairs, we will do all these tasks to successfully provide our clients in Melbourne top quality marble fireplace restoration! Once we are done restoring your fireplace, you won’t even recognise it, as it will look that good! It will not just fit better in your rooms but also work better and bring enhanced warmth and glow to your room. What makes us a professional fireplace restoration expert in Melbourne, South Yarra and Toorak is our ability to execute our services with special attention to the timeline and the budget allocated to us by our clients. We cover our clients’ needs at the same time adhering to the time limit and budget limit that we pre-decide with our clients. We are in and out of your home within the time allocated to us since we want you to begin enjoying your restored fireplace as soon as possible. We do understand that our services can disrupt your daily life which is why you will be back to routine in no time! Moreover, restoration is an additional expenditure and we do not want to overburden your pockets so we stick to the budget provided to us without compromising on quality! But once our clients in Melbourne see the final touches executed by K&K Marble for their fireplace restoration, they are assured that it was an investment towards an enhanced lifestyle, not expenditure! While selecting fireplace restoration services in Melbourne, South Yarra and Toorak make sure you contact reputed service providers like K&K Marble to do the job because quality restoration ensures your safety in fireplace usage. We make sure that our clients are not exposed to any kind of danger as they enjoy their fireplaces. Poor quality work can lead to fire hazards; we minimise such risks associated with fireplaces as we execute fireplace restoration services for our clients in Melbourne!